That’s Right. 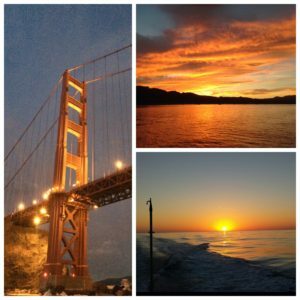 This is an amazing opportunity to book multiple Angel Island Ferry Sunset Cruises for 50% off the regular price by Sept. 15, 2018. Now while this offer runs for a limited time, there is *no limit to the amount of Sunset Cruises you can book in advance to enjoy during our Sunset Cruise Season – which runs through Saturday, Oct. 13, 2018. Extend your Summer Fun in the Sun…with Angel Island Ferry. Looking for a little romantic time? How about a girls’ night out? Want to get out of town – yet can’t seem to find the time? 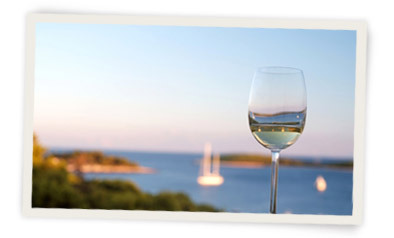 Bring along a favorite bottle of wine and picnic dinner to enjoy on a relaxing Sunset Cruise. Take in the iconic sights of San Francisco Bay while we cruise you out to the Golden Gate Bridge to watch the sun set…in paradise. Become an Angel Island Ferry Insider to be in the know on all upcoming events and specialty cruises on San Francisco Bay. 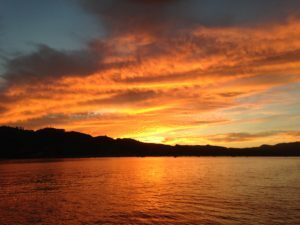 Book your San Francisco Bay Sunset Cruises online here. To make the most of this opportunity, book your Sunset Cruises now – for incredible savings to enjoy for the remainder of the season. Our Sunset Cruise season begins May 18, 2018 and runs Friday & Saturday Evening from 6:30 – 8 PM. Celebrating a birthday, anniversary or other special event? Host your party on the majestic San Francisco Bay…with us. We’ll even clean up for you – because “That’s how we cruise”. Enjoy a truly unforgettable experience on San Francisco Bay. Indoor/outside seating and a bar with wine, beer, soft drinks and snacks is also available onboard for your cruising pleasure. Book your Angel Island – Ferry Sunset Cruise online today! You can also email Tamalpais Charters a call at: info@tamalpaischarters.com – and we’ll help you plan the perfect party on San Francisco Bay that will be talked about for years to come. Angel Island Ferry, Angel Island Tiburon Ferry, Captain Maggie, SF Bay Sunset Cruises, sunset cruises, sunset cruises bay area, Tiburon Sunset Cruises.